As you know by now, we revived the show in 2014. With very few exceptions, we have done a show every week from then until now. Both Damon and Liam have decided it’s time for a break, so the show will be on hold for an indeterminate amount of time. Don’t panic, the show is not going away permanently and maybe we’ll do shows on an irregular basis. Join us Wednesday at 8 Pm Eastern and help us send off the show in style. Our store now has some more things you can purchase for yourself or for friends. We have just launched a collection of shows from the firs thalf of 2016. This collections includes 20 shows from January through June of 2016. Pick it up here. We’re also offering shirts. Pick up our very popular Bwaaah t-shirt in a range of colors in both Men’s and Women’s styles. You can check them out right here. As always. Please drop us a line to say hi or to make suggestions at comments about the show. Use the feedback tab at the top of the page. If you haven’t picked up past collections of our shows, it’s even cheaper to do so. We’ve lowered prices across the board on all of our past shows. Pick them up and don’t forget that next week we will be launching the first half of 2016 for purchase. Get your shows today from our Shop. Our New Store is now Live! We’re happy to say our new store has gone live. Over the coming weeks we’ll be adding products most notably physical goods like shirts. Find it on the top navigation bar of our website, or Click here. We are now able to take credit cards directly for those who don’t want to mess with paypal. Remember. Everything you buy directly supports keeping us on the air. Author LiamPosted on May 16, 2016 Categories NewsLeave a comment on Our New Store is now Live! Tune in this weekend to conquer the Wheel of Misfortune. Every hour the wheel will pick something different. The question is. Can you handle it? It could be anything from video game music to cartoons to… Well… You’ll just have to listen and find out. Click on our web player or find us in your app store of choice. the wheel awaits. Download our new Mobile App!!! We’re happy to announce that today we are launching the No Holds Barred Radio Show app. The app will give you access to our live stream along with show news and updates. For those brave souls who want to call in, you’ll find a call button. there are also links to information about the show along with links to our various social media outlets. Author LiamPosted on December 21, 2015 Categories NewsLeave a comment on Download our new Mobile App!!! On Wednesday September 9, 2015 the NO Holds Barred Radio Show will welcome up and coming comedian Cameron Readey to the show. We’ll talk to Cameron about his experiences doing stand up and he’ll grace us with some of his brand of comedy. Join us starting at 7 PM Eastern for three hours of original talk and comedy, along with what promises to be a great interview. 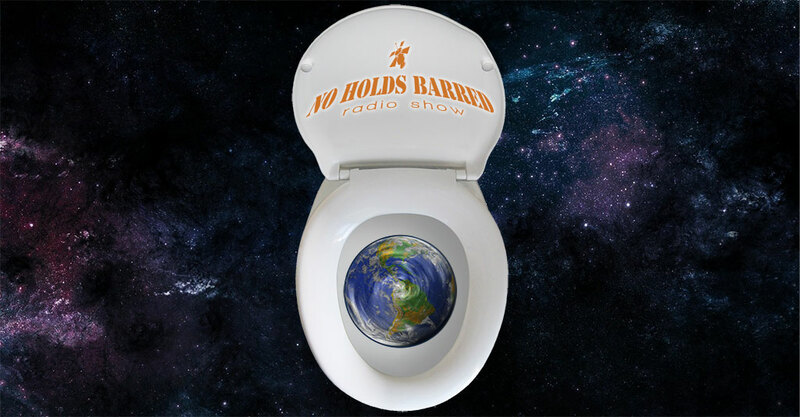 Even when the show isn’t live, listen to some of the best of the NO Holds Barred Radio Show right here. Downloadable Show Collections are Here!!! We are now proud to announce that collections of classic shows are now available to download. Shows from 2007 all the way to the present are available for instant purchase and download. Revisit the past with the 2007-2008 collection featuring two fantastic telethon shows. or, If you want something a bit newer why not grab a collection of shows from this year? The first half of 2015 is available to purchase. All this, plus every thing in between is now in our store. So get hopping. Visit the show Collections category to see what’s for sale. Author LiamPosted on August 5, 2015 Categories NewsLeave a comment on Downloadable Show Collections are Here!!! On May 25, 2015 The No Holds Barred Radio show will have a special Memorial day show. We start at 10 AM Eastern. that’s right. We’re doing as close to a morning show as you can get. If you are someone who normally doesn’t get to listen on Wednesday nights, then this is for you. To add to the fun, we are also giving away a copy of our 2014 DVD collection. Just send us some feedback using the link below. All you need to do is supply your name, email, and hey a message would always be nice as well. Tell us what you like about the show, where you’re listening from, stuff like that. We look forward to seeing you on Monday, and don’t forget to tune in at 10 AM eastern September 25. Send us some feedback, and enter to win!